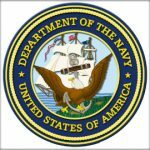 The U.S. Navy has awarded 21 companies positions on a potential five-year, $960 million contract for program management support services to the Naval Air Systems Command. NAVAIR received 84 offers for the indefinite-delivery/indefinite-quantity contract via a small business set-aside solicitation process, the Defense Department said Wednesday. Contractors will vie for task orders to help the command’s program executive offices plan, implement, coordinate, integrate and evaluate programmatic activities and administrative systems. Work will take place at various locations within Patuxent River, Maryland, through June 2023.